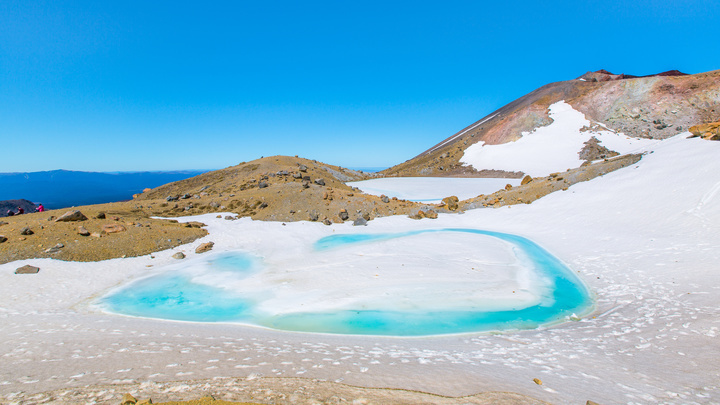 Trekking the Tongariro Alpine Crossing in winter is a spectacular experience. Although incredibly beautiful, there are some very real risks for the ill-prepared. There can be no cutting corners in preparing for a snowy trek with variable Tongariro Alpine Crossing weather. Many of our guests return from the Tongariro Alpine Crossing with grins from ear to ear. As they describe their experiences it makes us realise the magic of the Tongariro Alpine Crossing needs to be seen to be believed. But being among the action, we often hear of the adventures that didn’t quite go to plan. For an adventure like the Crossing, preparation and awareness are two things that trekkers can’t do without. Although extremely unforgettable and rewarding, walking the Tongariro Alpine Crossing is a challenge. Throw in some snow, ice and sub-zero temperatures and it becomes even more challenging. Having experienced the Tongariro Alpine Crossing in winter ourselves, we’d love to hear more stories of safe crossings. This is why we’ve compiled our top tips for tackling the Crossing in winter. The Tongariro Alpine Crossing is no short walk. Taking approximately nine hours to complete, it goes without saying that a good level of fitness is required. 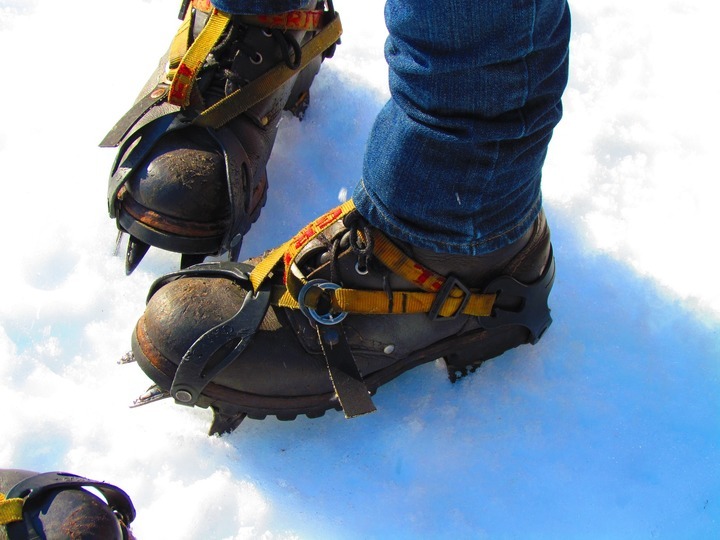 It’s not just the length of time you’ll be walking, it’s the uneven, icy terrain you’ll be walking on. In dry conditions the track is firm and solid. However, in the winter, you need to take into account that the ground will be covered in soft, slippery snow. You’d be surprised at how often people underestimate how difficult it is to walk the track under snowy conditions. Allowing plenty of time also means you need to be aware of winter’s daylight hours. We have around 11 hours of daylight during winter which means you’ll need to leave for the crossing as soon as day breaks to ensure you’re not still out there after dark. When we read stories of those who needed assistance to get off the track, it is usually due to lack of preparation. Adequate planning, packing, researching and training are all required to do the walk amidst everchanging Tongariro Alpine Crossing weather. It’s not just about dressing appropriately, it’s about ensuring you have taken all measures possible to stay safe out there. 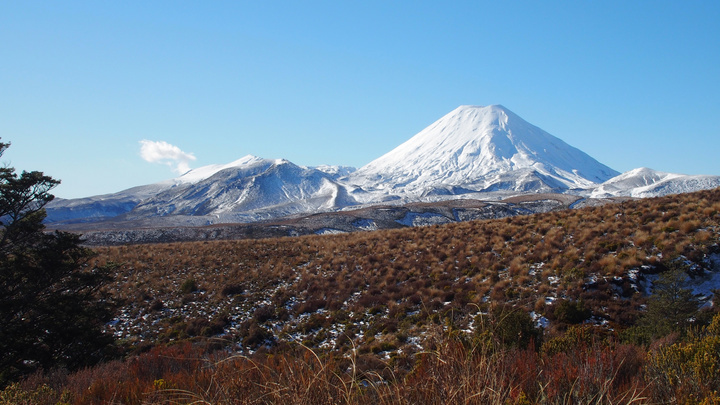 Think of the Tongariro Alpine Crossing as having a climate of its own. Don’t assume that because the weather is perfect in the Tongariro region that it will be the same during the trek. Conditions can change quickly and you will need base, insulation and waterproof layers to ensure you’re adequately dressed. A helmet must also be worn at all times as the track is often slippery. Prior to the walk, make sure you’ve looked into conditions for the day and studied the track in advance. Many people assume that because the track is sign-posted they won’t have any trouble getting from start to finish. Deep snow can hide markings so a little time to research the tracks goes a long way in staying safe and on course. It’s important to remember that if you haven’t done the Tongariro Alpine Crossing in winter then you are unfamiliar with the route. Even if you’ve crossed in summer, the winter track is vastly different. So different, in fact, that it will be a new experience altogether. Be sure to check in with the Tongariro National Park Visitor Centre before you go. The team there are have up-to-the-minute information on conditions and potential risks on the track. Planning your trek to a tee will give you peace of mind that you’ve done all you can to safely cross, regardless of the Tongariro Alpine Crossing weather, and create memories to cherish for a lifetime. However, make sure you plan for all kinds of scenarios and ensure you have a solution for each. First of all, be prepared to turn back if conditions are too risky. There will be other chances to cross. Your safety is what’s most important here. Be avalanche aware. We know this might sound extreme but when you’re dealing with deep snow on a mountain, it’s a very real possibility. Check the Avalanche Terrain Exposure Scale (ATES) before your trip and learn how to recognise dangerous terrain. 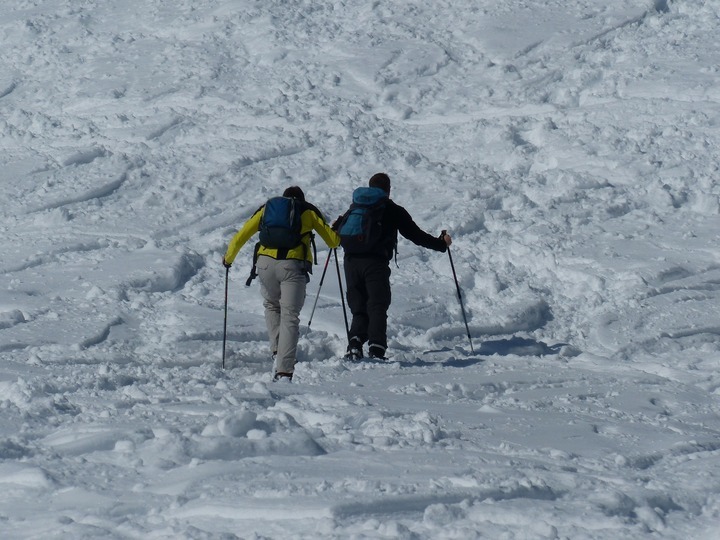 Ensure you have your avalanche transceiver, probe and shovel handy at all times. 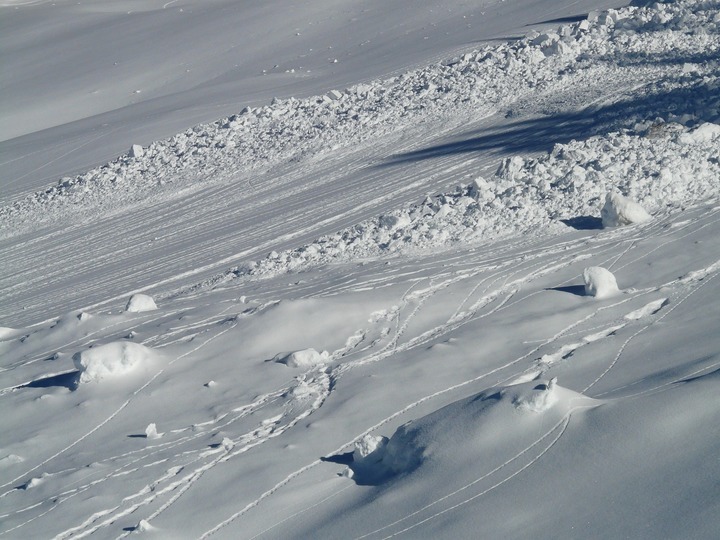 For avalanche updates call 07 892 3729. Due to variable conditions, we recommend going with a guide. Guides are fully equipped to handle whatever the Tongariro Alpine Crossing weather throws their way. Our friends at Adrift Guided Outdoor Adventures have vast experience of the Crossing as well as a wealth of knowledge of the area. All guides are qualified and offer training and tuition on the day. Your safety will be at the forefront of the adventure and you’ll be guaranteed an unbelievable experience. In the backyard of The Park Hotel is one of the country’s most beautiful hiking opportunities, the Tongariro Alpine Crossing. We love to hear our guests rave about the experience they had and we hope to hear more wonderful stories of safe and successful crossings. If you’re planning to brave Tongariro Alpine Crossing weather and do the trek in winter, be sure to do it prepared. Our staff have plenty of advice to share so book your stay with us and have a chat before you go. We can’t wait to hear what you thought of your journey.